The purple mangosteen (Garcinia mangostana), known as the “queen of fruit,” is widely consumed and unique not only because of its outstanding appearance and flavor but also its remarkable and diverse pharmacological effects. 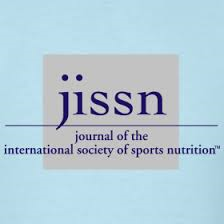 The aim of the present study is to evaluate the effect of acute mangosteen supplementation on physical fatigue during exercise. A randomized, double-blind, placebo-controlled, crossover study was carried out by 12 healthy adults. The participants were randomly assigned to receive acute oral administration of either 250 mL of the mangosteen-based juice (supplementation treatment; 305 mg of α-mangostin and 278 mg of hydroxycitric acid) or a placebo (control treatment) 1 h before cycle ergometer exercise. Time to exhaustion, heart rate, Borg Rating of Perceived Exertion score, blood biochemical markers (namely ammonia, cortisol, creatine kinase, aspartate aminotransferase, alanine aminotransferase, glucose, and lactate), muscle dynamic stiffness, and Profile of Mood States (POMS) were evaluated and recorded. The results showed all parameters we examined were significantly altered by the exercise challenge, which demonstrated they directly reflected the condition of fatigue. However, there were no differences between the two treatments besides a positive impact on the POMS examination. The occurrence of physical fatigue depends on multiple underlying mechanisms. We concluded that acute mangosteen supplementation had no impact on alleviating physical fatigue during exercise.